Make a commitment to your leadership- your leadership is a journey and process. It takes time to make impact, particularly with large organizations. Know your topic matter well. Understand long term vs short term goals and work towards both. There is a price to pay when in a leadership position – be conscious of the sacrifices and work to offset them. Critically important to have diverse leaders join conversations. Stay focused on goals and values when putting out fires. 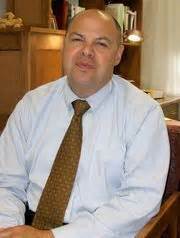 Andrew Pallito currently serves as the Director of Health Systems Finances for the Green Mountain Care Board. In this role, Andy oversees a staff of five who review and analyze hospital budgets, accountable care organization budgets, and insurance company rates in order to make recommendations to the GMCB regarding appropriate levels of financing. Andy began his career in state government in August of 1992 working for the Agency of Human Services. Transferring to the Vermont Department of Corrections in January of 2001, Andy was appointed to the Deputy Commissioner position in 2006 and then the Commissioner position in 2008. Andy served in this role until he was appointed to the Commissioner of Finance and Management in 2015. He served in these roles under three different Governors. Andy started with the GMCB in 2017. Prior to joining state government, Andy worked for several large accounting firms. A 2005 graduate of the Vermont Leadership Institute at the Snelling Center for Government, Andy holds a bachelors degree from Saint Peter’s College in New Jersey. He is a resident of Burlington and holds an ASEL/IFR pilot’s license.